Well here it is, fall, seems like summer just got started. 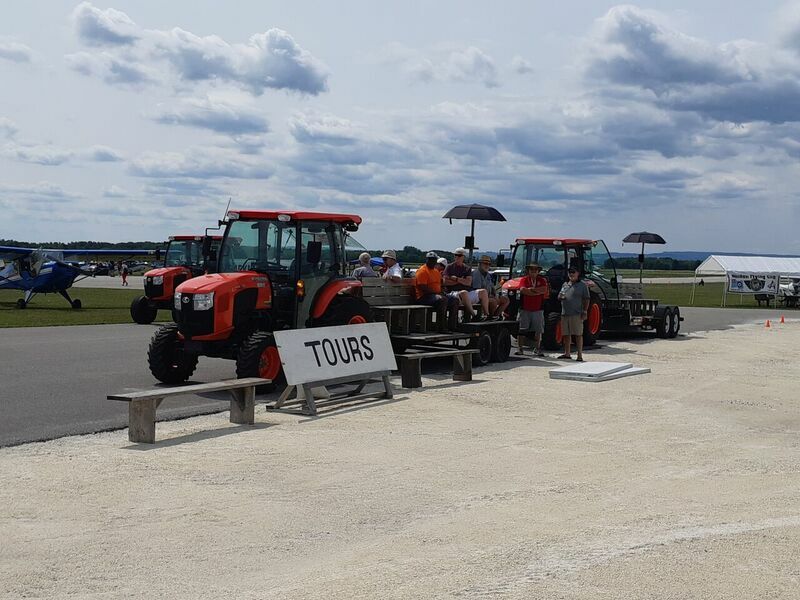 All of the clubs have had a busy summer with events. Here�s a list of just a few. Meaford: Their annual Kin Kamp was a huge success. And why not, they�ve been doing it for nearly 60 years. Tons of activities for young and old and lot�s of good old fashioned fellowship. They are currently involved in the annual Meaford Scarecrow invasion. A must see for all!!! Another sign of the season the club is doing their annual Hot Tub draw. Flesherton: Club is on the rebound after last years highly successful membership drive. Mid August saw another successful Flesherton Fling go down. The enthusiasm from this bunch of guys is infectious. Look for great things in the next year. 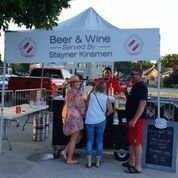 Stayner: Another successful summer serving beer and wine every Thursday night at the farmers market and music fest. Completion of a 30� x 50� donated gazebo in Kin Park is scheduled for this fall. 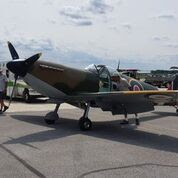 The club supplied guided tours at the Edenvale Airport Classic aircraft show. Plans are well under way for the annual Local Business Christmas Dinner and Dance, plan to serve 300 dinners. Santa arrives the same day with a huge donation to the local Food Bank. Shelburne: Annual Canada Day celebration was another success, even in the sweltering heat. Beer for a year project is under way as well as Christmas Tree sales, Christmas Hampers and calls to anywhere in the world for the elderly. Saturday of the long weekend was a great time for clubs sharing with each other. The Wasaga Kinettes needed help manning a bar on Saturday at a community event. 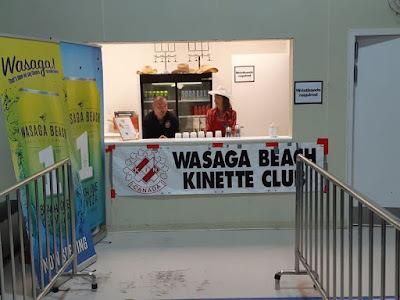 The Stayner Kinsmen stepped up and had a great time helping out.